The Indian knowledge system that have been in vogue for the last many millenniums, regard Ayurveda as one of the Upa-Veda-s (minor Veda-s). The system of Ayurveda has very strong foundations, both theoretical as well as practical. While the practical foundations are well established, the theoretical foundations based on the other Vedic systems, especially the six systems of Indian philosophy, have not been sufficiently established. Each of the Indian philosophical systems has contributed to evolution and practice of Ayurveda in a unique and extensive manner. 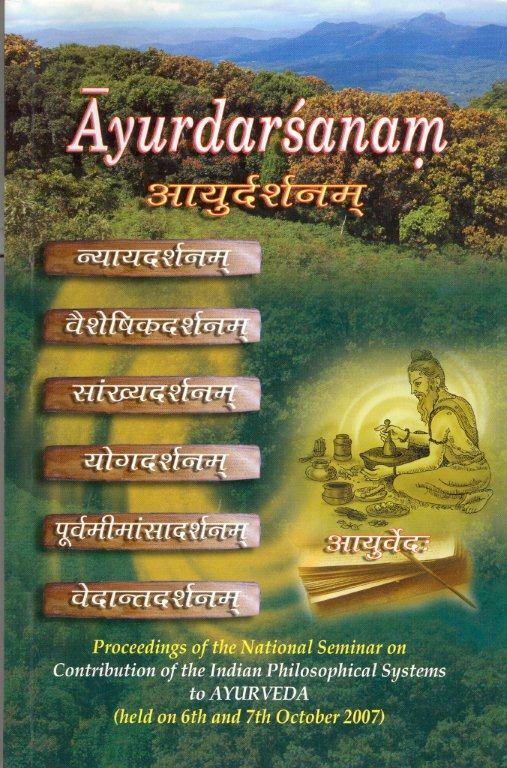 This link was well known to teh old practitioner schools of Ayurveda, for whom learning Sanskrit and some works of the Indian philosophical systems was mandatory. No contemporary documentation, was available with regard to the part played by the Indian philosophical systems in the various subjects pertaining to Ayurveda. In this context, this seminar was visualized as the first in a series to uncover the theoretical foundations of Ayurveda.